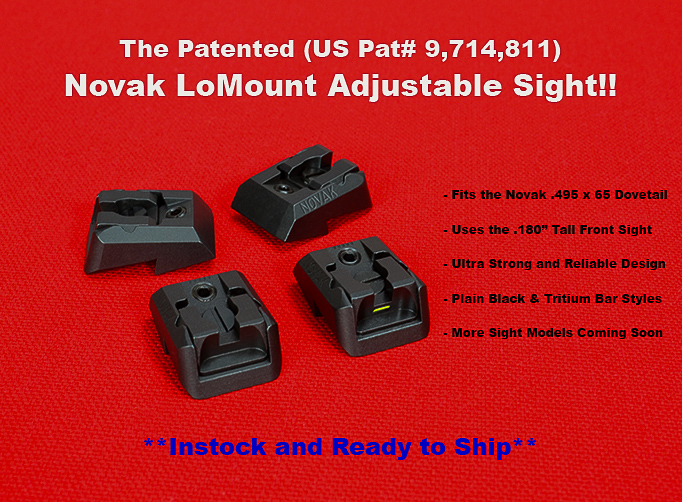 The new uniquely designed and patented (US patent #9,714,811) adjustable sight for use in the Novak LoMount® 380 .330” x 65° rear dovetail cut. 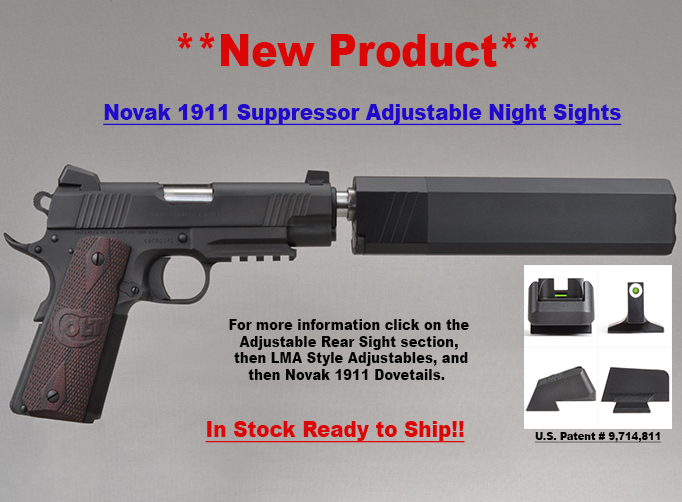 This sight is modeled after its original fixed Novak LoMount counterpart to emulate all of its industry leading and benchmark benefits, but now adding the capability of screw adjustment for elevation and drift adjustment for windage. This design was purposefully engineered to greatly enhance the strength, durability, and reliability of the adjustable type sights. The probability of failures due to component fragility and fatigue is virtually eliminated by this state of the art design. This new LMA series adjustable sight is a direct replacement for the current Novak LoMount 380 fixed sight and it uses the same front sight height as its fixed counterpart. This simplifies changing to an adjustable sight by removing the need for a different height front sight to match up unlike all of today’s current adjustable rear sights. 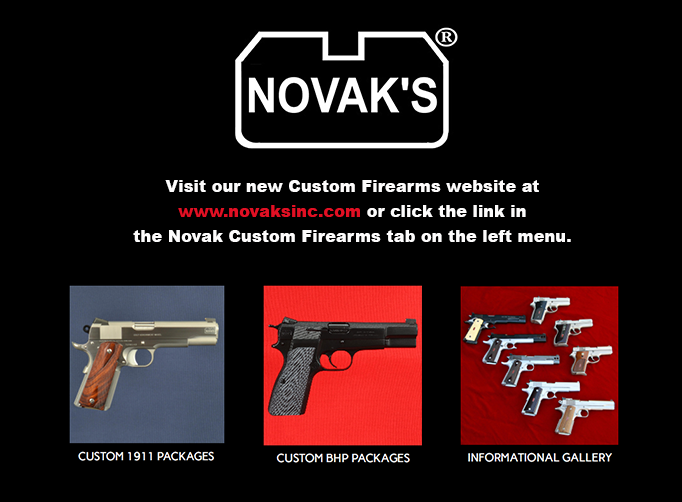 One of the major additional benefits of the new adjustable is the ability to correct point of aim/point of impact issues due to changes in various ammunition types or factory pistols that have a minor lockup issues. 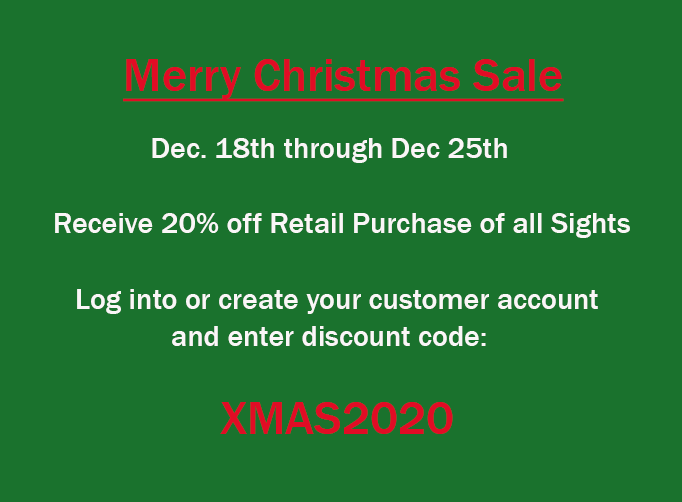 This added benefit reduces the costs and stress of changing both front and rear sights just by replacing the rear sight only. 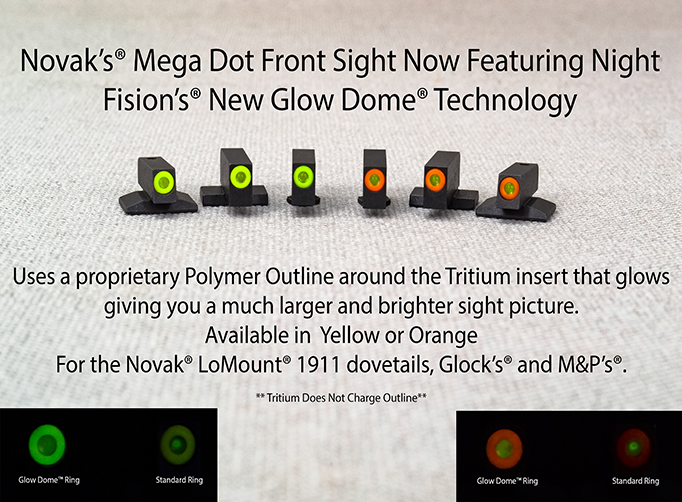 All of the same exceptional traits and extreme durability of the fixed Novak LoMount rear sight is now available in the ultimate adjustable format. Dovetail Front .060" Base White Dot .200"
Ruger GP100 Brass Bead Front .265"
Ruger GP100 Fiber Optic Front .265"